It is simple to opt out of Medicare – far simpler than staying in the Medicare program. 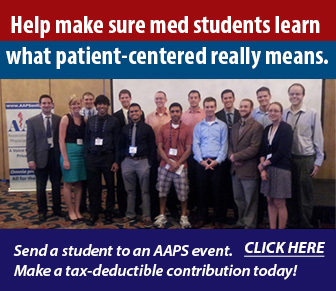 Thousands of physicians have already opted out, and we have not heard a single regret by any of these physicians. Medicare endangers seniors, rations care and punishes the best doctors whose only aim is to give the best care. For the sake of patients and integrity of the profession, doctors should get out of Medicare. A silver lining in the Medicare Access and CHIP Reauthorization Act of 2015. which was signed into law in mid-April 2015 to repeal the sustainable growth rate (SGR), is a provision in the bill that also repeals the irritating requirement of having to renew an opt-out status every two years. Physician’s opting out of Medicare after June 16, 2015 will need to file an affidavit to opt out of Medicare only once, and it will have permanent effect. The physician will no longer need to renew his opt-out every two years thereafter. However patients will still need to sign a private contract every two-years. Once CMS unleashes its dreaded new program of “private auditors” to shake down physicians in the Medicare program, far more physicians will likely opt out – and even more will wish they had. We have prepared this “How To” guide for your benefit. These suggestions do not constitute legal advice – please consult an attorney for any legal issues or questions. 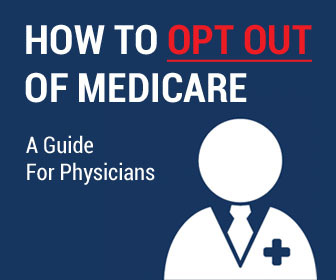 Step One: Notify your patients that you are opting out of Medicare. Step Two: File a copy of the following affidavit with proof of delivery (such as certified mail, return receipt requested) that you keep in your records along with a copy of your opt out affidavit, by sending your affidavit to “each carrier that has jurisdiction over the claims that the physician or practitioner would otherwise file with Medicare,” no later than 10 days after entering into first private contract. (quoting CMS Qs and As on Private Contracts, #10). The addresses will vary depending on the region of the country in which you practice. Click here for a list of Medicare carriers by state. 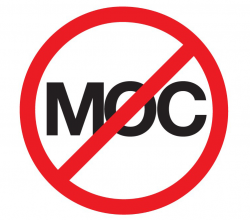 Include a cover letter requesting that the carrier acknowledge – in writing – that the opt out was properly accomplished. 2. I have entered or intend to enter into a private contract with a patient who is a beneficiary of Medicare (“Medicare Beneficiary”) pursuant to Section 4507 of the Balanced Budget Act of 1997 for the provision of medical services covered by Medicare Part B. Regardless of any payment arrangements I may make, this affidavit applies to all Medicare-covered items and services that I furnish to Medicare Beneficiaries during the Opt-Out period, except for emergency or urgent care services furnished to Beneficiaries with whom I had not previously privately contracted. I will not ask a Medicare Beneficiary who has not entered into a private contract and who requires emergency or urgent care services to enter into a private contract with respect to receiving such services, and I will comply with 42 C.F.R. § 405.440 for such services. 3. I hereby confirm that I will not submit, nor permit any entity acting on my behalf to submit, a claim to Medicare for any Medicare Part B item or service provided to any Medicare Beneficiary during the Opt-Out Period, except for items or services provided in an emergency or urgent care situation for which I am required to submit a claim under Medicare on behalf of a Medicare Beneficiary, and I will provide Medicare-covered services to Medicare Beneficiaries only through private contracts that satisfy 42 C.F.R. § 405.415 for such services. 4. I hereby confirm that I will not receive any direct or indirect Medicare payment for Medicare Part B items or services that I furnish to Medicare Beneficiaries with whom I have privately contracted, whether as an individual, an employee of an organization, a partner in a partnership, under a reassignment of benefits, or as payment for a service furnished to a Medicare Beneficiary under a Medicare+Choice plan, during the Opt-Out Period, except for items or services provided in an emergency or urgent care situation. I acknowledge that, during the Opt-Out Period, my services are not covered under Medicare Part B and that no Medicare Part B payment may be made to any entity for my services, directly or on a capitated basis, except for items or services provided in an emergency or urgent care situation. This agreement is between Dr. __________ (“Physician”), whose principal place of business is _____________, and patient ____________ (“Patient”), who resides at __________ and is a Medicare Part B beneficiary seeking services covered under Medicare Part B pursuant to Section 4507 of the Balanced Budget Act of 1997. The Physician has informed Patient that Physician has opted out of the Medicare program. The expected or known effective date and expected or known expiration date of the current opt-out period is _______________(effective date) and _______________(expiration date). The Physician’s opt out status auto-renews every two years unless terminated prior to the renewal date. The Physician is not excluded from participating in Medicare Part B under Sections 1128, 1156, or 1892 or any other section of the Social Security Act. In exchange for the Services, the Patient agrees to make payments to Physician pursuant to the Attached Fee Schedule. Patient agrees not to submit a claim (or to request that Physician submit a claim) to the Medicare program with respect to the Services, even if covered by Medicare Part B. 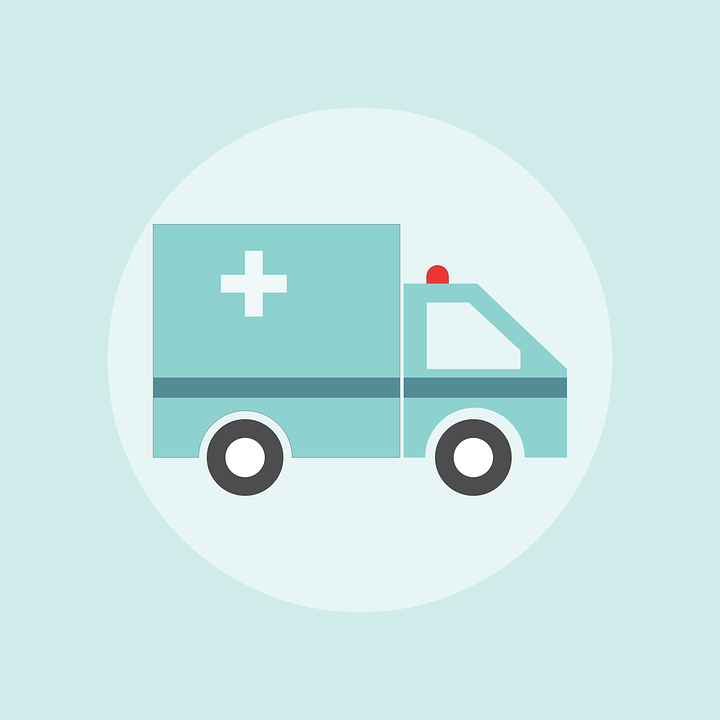 Patient is not currently in an emergency or urgent health care situation. Patient acknowledges that neither Medicare’s fee limitations nor any other Medicare reimbursement regulations apply to charges for the Services. Patient acknowledges that Medi-Gap plans will not provide payment or reimbursement for the Services because payment is not made under the Medicare program, and other supplemental insurance plans may likewise deny reimbursement. 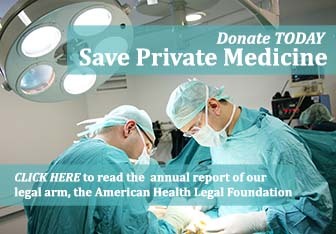 Patient acknowledges that he has a right, as a Medicare beneficiary, to obtain Medicare-covered items and services from physicians and practitioners who have not opted-out of Medicare, and that the patient is not compelled to enter into private contracts that apply to other Medicare-covered services furnished by other physicians or practitioners who have not opted-out. Patient agrees to be responsible, whether through insurance or otherwise, to make payment in full for the Services, and acknowledges that Physician will not submit a Medicare claim for the Services and that no Medicare reimbursement will be provided. Patient understands that Medicare payment will not be made for any items or services furnished by the physician that would have otherwise been covered by Medicare if there were no private contract and a proper Medicare claim were submitted. Patient acknowledges that a copy of this contract has been made available to him. Step Four: Install procedures to ensure that your office never files a Medicare claim, and never provides information to a patient that enables him to file a Medicare claim. 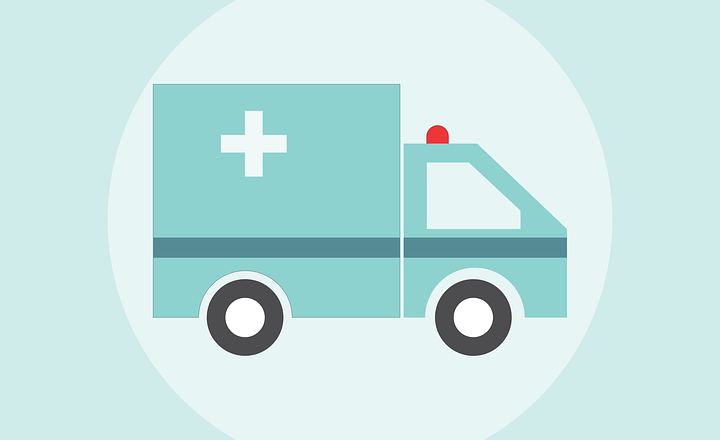 The two exceptions – for emergency or urgent care and for covered services that Medicare would deem unnecessary – should be used with caution. Step Five: Reduce the substantial overhead costs resultant from participating in the Medicare program and being subjected to the Medicare-inspired audits and threats. Then celebrate: you can now spend your time serving patients rather than catering to and being controlled by the government. Step Six: Mark your calendar to have Medicare patients re-sign a new private contract every two year’s on the anniversary of your opt out effective date. While Physicians opting out on or after June 16, 2015 will no longer need to renew their opt out every two years, CMS currently still requires patients to renew the private contract every two years. Step One: In the words of CMS, “Participating physicians and practitioners may opt out if they file an affidavit that meets the criteria and which is received by the carrier at least 30 days before the first day of the next calendar quarter showing an effective date of the first day in that quarter (i.e., January 1, April 1, July 1,October 1).” [From CMS Benefit Policy Manual (Rev. 147, 08-26-11) Sec. 40.17] Note that a participating physician must give his or her carrier 30-days’ prior notice by sending in the opt-out affidavit with an effective date of the beginning of the next quarter. Subsequent Steps: Follow the above Steps One through Six for a non-participating physician, except that the physician may not provide private contracting services until the first date of the next quarter that is at least 30 days after receipt of the notice by the carrier. For example, the carrier must receive the notice from the physician by Sept. 1 if the physician seeks to provide private contracting services beginning on Oct. 1. List of physicians opted-out of Medicare in your state. List of Medicare Carriers by State. FAQ and “How-To’s” on Cash-Based Dermatology and Opting Out of Medicare – https://goo.gl/KL1MLJ (contains info useful for all specialties). CMS confirms that contractors must process opt-out renewals submitted prior to opt-out expiration date. Whether to Opt Out of Medicare: How to Make a Titanic Decision – article by Smiley Thakur, M.D. Banking on Reform or Opting Out of Medicare – article by Lawrence Huntoon, M.D. Opting Out of Medicare a Rational Decision – article by Mary Jo Curran, M.D. The Physicians Declaration of Independence – July 4, 2004 – Written by Richard Amerling, M.D.